With the Sahara Force India F1 Team struggling this weekend with the pace and the performance from their car the VJM-08 that was needed to score points at the Circuit de Catalunya, both of their drivers have admitted that they did the best with they could do in the Grand Prix today. The Silverstone based team this week have admitted to the media that they wouldn’t be launching their B-spec 2015 car until the British Grand Prix and are currently sitting in eighth place in the Constructors Championship with 11 points. Sergio Perez said that he did everything he could do to maximise his race today for himself and also for the team despite managing 30 laps on his last stint of the race, but hopes that the team can improve on their qualifying pace as their race pace on Sundays aren’t a problem for him. “Considering where I qualified, we probably maximised our race today. Maybe a three-stop strategy would have been a little bit better, but it wouldn’t have made much difference in the end,” said Perez. Meanwhile his team-mate Nico Hulkenberg expressed the same as Perez and believes it would have been difficult to score points in the race today after being behind a few cars today where he lost performance running behind them. But Hulkenberg is confident that they can become more competitive in Monaco in a few weeks time; where the tyre compounds should suit their car better. “It was always going to be difficult to score points today, especially on a track where it’s so difficult to overtake,” said Hulkenberg. “I was always stuck behind other cars and, even with better pace, you lose too much performance running in the dirty air. My three-stop race was the more aggressive approach, but we didn’t have the track position to make the most of it. English Literature and History Graduate. 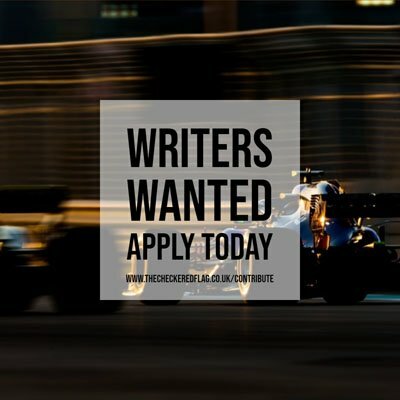 Writing about the sport for two and a half years and currently alongside TCF write for Driving For Pleasure and Jones On F1. Big F1 fan (especially McLaren and Jenson Button) but also love Everton Football club, music, TV and books.